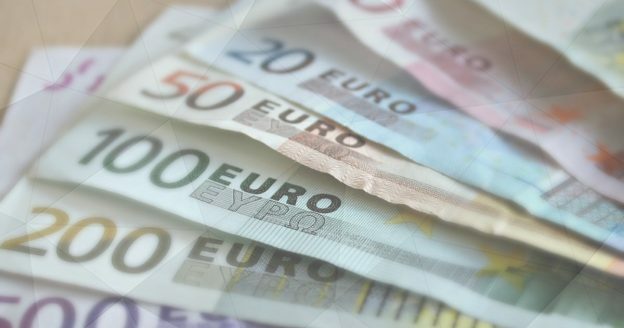 The EURCAD pair is consolidating on the 4 hour chart with a resistance trend line at 1.5020 and a support trend line at 1.4860. Price is trading around 1.4981 and nearby resistance is at 1.4994 just below 1.5000. A break higher would be bullish for the pair and potentially lead to a move to test previous resistance at 1.5050. This would be a precursor for a bullish move to the recent highs at 1.5134/1.5140 area. Beyond this area levels at 1.5180 and 1.5200 become targets. 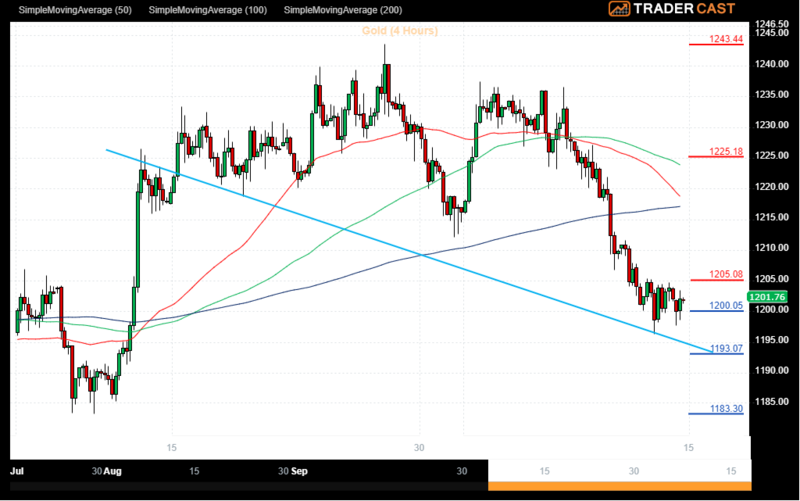 Support for the pair can be seen at the low of yesterday’s pullback around 1.4908. A loss of this level may set up a retest of the trend line and a test of the cluster of higher lows around 1.4850. The lowest of these is 1.4846 and a move under this point could be seen as bearish strength coming through. This may see sellers looking for a test of the low around 1.4776 with the view to forcing a move down to 1.4700. Support for the market is associated with 1200.00 and the low of 1196.40. 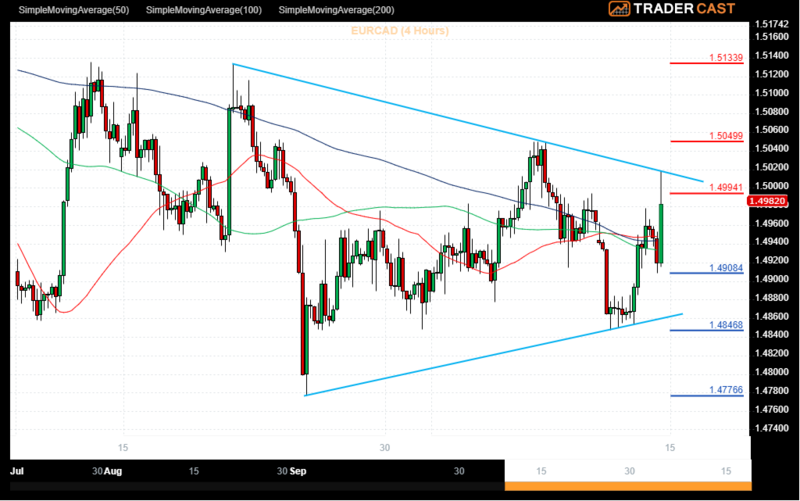 A loss of this support may result in a retest of the trend line at 1195.00. Further support may be found at 1193.00 where price found resistance and support last month. Below this area the higher low of 1183.30 may act on price. Bears might attempt to push price down to the support at 1160.00 and beyond to 1150.00. A failure of these supports may point to an extended drop towards 1120.00.